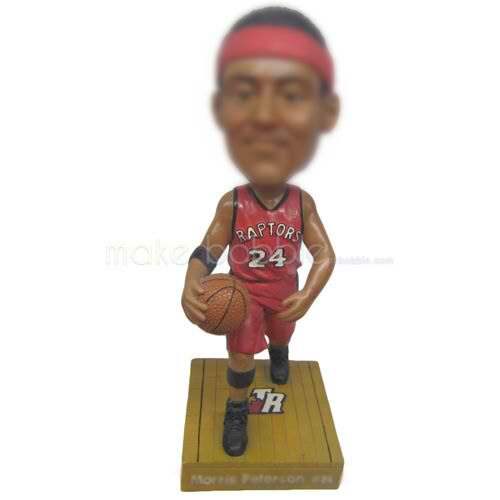 Personalized basketball player in NBA raptors jersey bobblehead - a love more than a gift! The energy and dedication of the basketball player can be reflected in your choice of basketball Bobblehead. Exceptional fitness and hundreds of hours of practice are needed to achieve the highest levels of play on the court. There may be many reasons why you love basketball, but if you tell us your special requests, we will custom-make any style of basketball Bobblehead for you.